There are two well known stories from Indian mythology that mention about moving mountains. The first story is from Ramayana. During the great war, Rama fought with evil king Ravana, his brother Laxmana was injured and had gone into a coma. 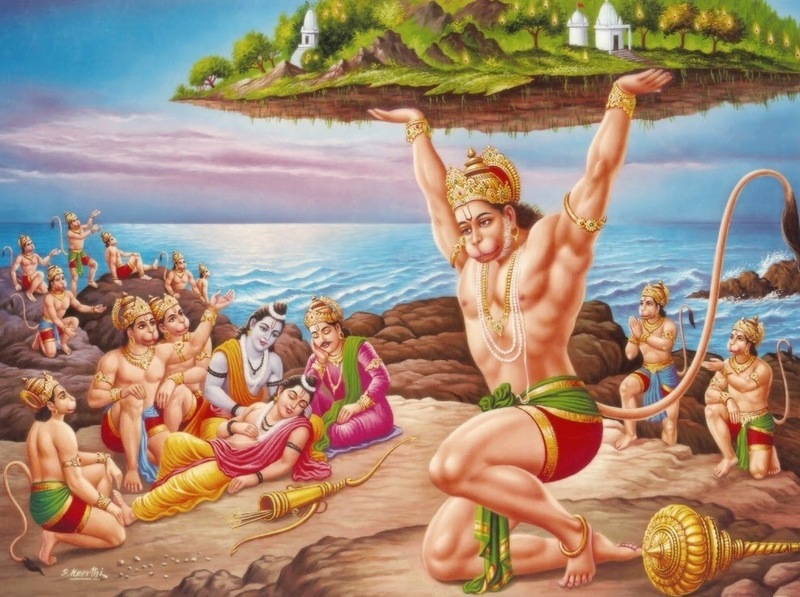 The only cure for him was a herb known as “Sanjivani” that grew only on one mountain in the world, known as “Dronagiri.” Rama's trusted lieutenant; Monkey God Hanuman, offered to fly to the mountain and get the herb. As promised, Hanuman flew to the mountain, but was not able to locate the herb. Since the time was running short, he decided to move the entire mountain itself to nearby of Rama's battlefield camp. When he did that, the herb could be quickly located and Laxmana was saved from a certain death. The other story about moving a mountain is from the life story of Lord Krishna. In Krishna's village, there was a hill called as “Gowardhana.” According to the story, Krishna told the village people to worship this hill instead of God Indra, who was annoyed with this and decided to teach a lesson to the villagers. He asked his friend; rain God Varuna to flood the village with rain. 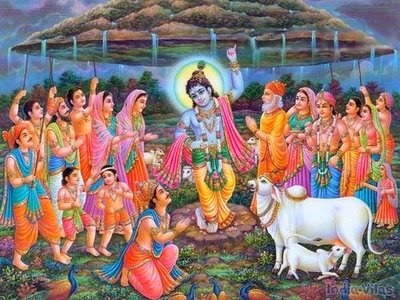 When this started happening, all the villagers ran to Krishna and asked him to save them. Realising the grave danger facing them, Krishna lifted up the “Gowardhana Hill” on his finger, so that all the villagers could find shelter under it. The rain god tried his best but was not able to harm the villagers and finally gave up. It is obvious that both these stories are great flights of fancy of some highly imaginative poets from the past. But they do tell us one thing. Moving a mountain is not a job of an ordinary human. It can be done only by super humans like Monkey God Hanuman or Lord Krishna. That is why if we want to do something so difficult that seems almost impossible or to make strenuous efforts to achieve something difficult, it can be simply described by the Idiom, that says we moved the mountains. But if someone really decides to move or flatten a mountain, what would be the effect? Would it just mean that the mountain is no more there with only flat land left? The engineers in charge of city development in my home town Pune, have done few things in the direction and the results have been quite disastrous. Though, they have fortunately not yet moved any mountains as such, they have surely succeeded in flattening some earthen mounds and filing some minor rivulet valleys, still managing to give us a test of what kind of environmental disasters would come our way if we really decide to make major changes in natural landscapes without proper thinking for long term effect. In a series of articles- “Requiem for Pune Rivers- Part I- Part II- Part III ”, I have described these efforts and the after effects. But what the city engineers from my home town have not dared to do as yet, engineers from some Chinese cities have already managed to do. They have actually moved or removed the mountains and hills from within their cities. 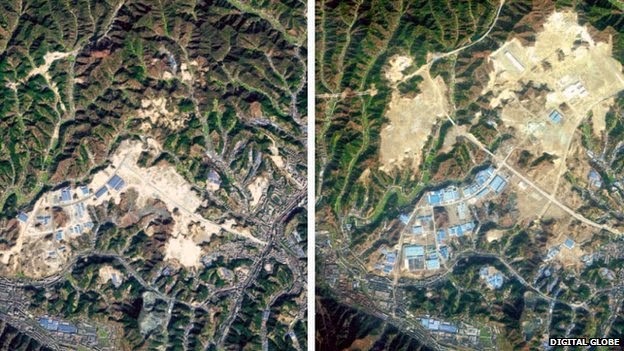 In Chinese cities like Chongqing, Shiyan, Yichang, Lanzhou and Yan'an, dozens of hilltops have been flattened and the soil and rock then used to fill in valleys creating hundreds of square kilometers of flat terrain. 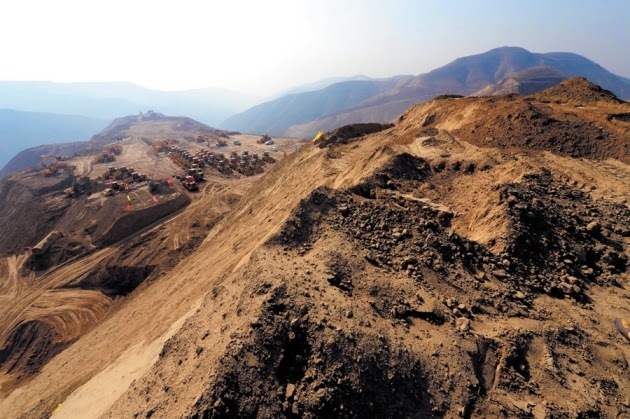 In Lanzhou alone, 700 mountains are being levelled to create more than 250 square kilometres of flat land. Researchers from 'School of Environmental Science and Engineering' from Chang'an University in China led by Prof Peiyue Li have recently reported their concerns in the journal “Nature.” They say that the flattening of mountains is causing air and water pollution, soil erosion and flooding. 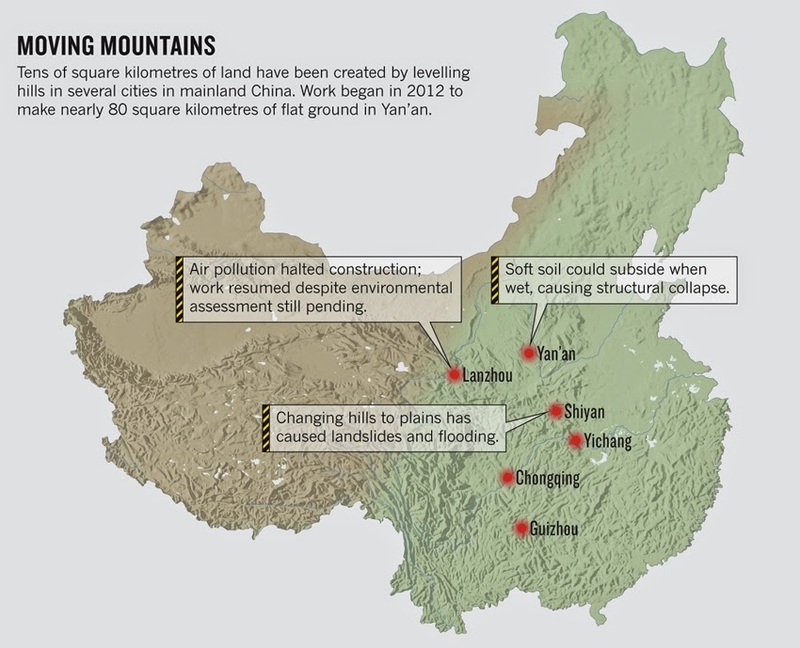 They warn that this mountain flattening activity has been going on in China on an unprecedented scale and is likely to cause extensive environmental problems. The researchers note that however the issue that is of major concern is the safety of constructions carried out on newly land filled valleys. The concern primarily raises from the fact because no land creation projects like this have been done before in the world and there are no guidelines. Prof. Li, while explaining the reasons behind his concerns, says that mountainous cities such as Yan'an are mostly located in relatively flat valleys. The valleys are narrow and limit the development of the cities-and huge population density is also a factor. The flattening operation is raising dust levels in the atmosphere to abnormally high levels polluting it and also the waterways, causing landslides and flooding and endangering plants and animals. He adds that in Yan'an, for example, the largest construction project ever attempted is planned on piece of land that is composed of thick windblown silt. Such soft soils can subside when wet, causing structural collapse and land subsidence. Building on such soils is quite dangerous and it would take a very long time for the ground base to become stable. The researchers want the Chinese government to consult national and international experts to fully assess the risks before they continue with the project. I think that Prof Li is right on the target, our little experience in my hometown Pune has shown that blocking the natural water flow from rivulets ends into accumulation of water in all places, which are at low level and the water does not flow out. Luckily, in Pune, we have hard basalt rock just below the surface of land and most of the buildings have foundations resting on this rocky surface. If the soil is soft and becomes soggy, one can imagine how bad the structural stability will be. With our modern earth moving machinery, it is very easy to create major changes in the landscape such as flattening of hills or filling up valleys. But unless this is done after detailed study and analysis, there are chances that we might be opting for disasters in future.